In an effort to make my scoot (‘06 AN 400S) more visible to other folks I decided to replace my stock bulbs with the latest LED versions. I figured I’d document that DIY here for other Burgermeisters who might want to brighten things up a bit. For the brake lights, I went with the red iBrightstar 1156 base LEDs and I can say that they pass the non-scientific eyeball test for brightness with flying colors. The headlight choice was the F2 6000 LM bulbs in H4 trim which have integral cooling fans and adjustment rings to make sure that the beam cutoff and polarization are correct. They are brighter and whiter than I anticipated and that’s a good thing. Finally, I replaced the turn signal bulbs with the amber colored Antline 1156 base style. The rear turn signal bulb sockets are fairly fiddly to get to on my S model but perseverance pays off. The fronts are easy to do when you are in there doing the headlights. Update: Our brake and turn signal bulbs aren't 1156 base bulbs. They're close but not a perfect fit. Ours are P21 bulbs but that is needless info. The important stuff is that you need to spend about 5 minutes with a Dremel tool, stone grinding bit and the base of the LED 1156 bulbs and burnish down one of the nubs until smooth. Afterwards, the bulbs will fit the brake and turn signal sockets just fine. With the exception of the LED flasher relay, which was an EBay buy, all were sourced from Amazon and they arrived in two days after order. I swapped in the LED rated flasher relay instead of doing resistors on each circuit and it was a perfect fit. The flasher appears to work with incandescent and LED bulbs. Other than the tedious and requisite Tupperware fiddling, the job was Caveman easy. I’ve included the particulars and appropriate links for those interested. Nice additions. Thanks for the links! Great post, OldSchool1959! 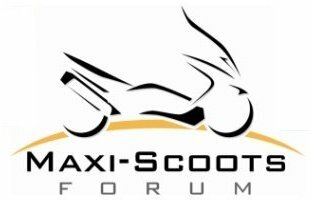 Some of the most important mods I have seen and/or performed on motorcycles and scooters are lighting upgrades to enhancing visibility to other drivers. Your approach is right up there with them.